LAST DAY: Special Sale (LESS than a DOLLAR!!) 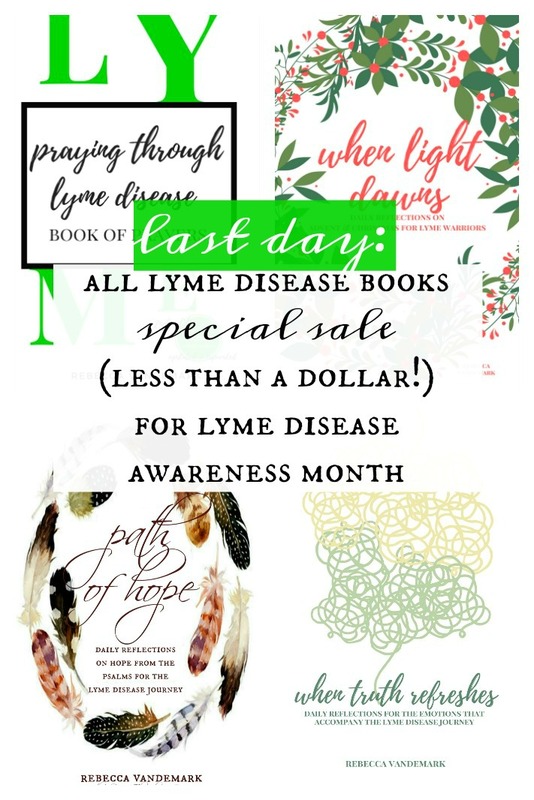 on ALL Lyme Disease books for Lyme Disease Awareness Month! Happy Thursday friends! I hope that y'all are having a wonderful week! This week seems to be flying by for me! It is hard to believe that today is the last day of May! Anyone else feel that this month just flew by?!? I have one request as this month ends- if you have read or will read any of these books- would you consider leaving a review for others to know more about them? It doesn't have to be long, but ANY reviews that help potential future readers learn more about them and this would be such an incredible blessing! Thank you! I hope that you have a lovely Thursday!